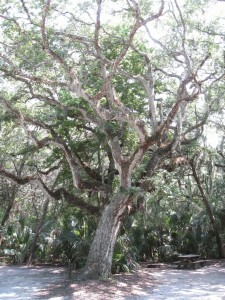 Anastasia State Park is a little slice of paradise located near historic downtown and the beaches in St. Augustine. Whether you are visiting for the day or camping for a week, this beautiful Park will appeal to all. I personally have camped there since I was a small child and I visit the park now on a regular basis to take advantage of all this little slice of paradise has to offer. 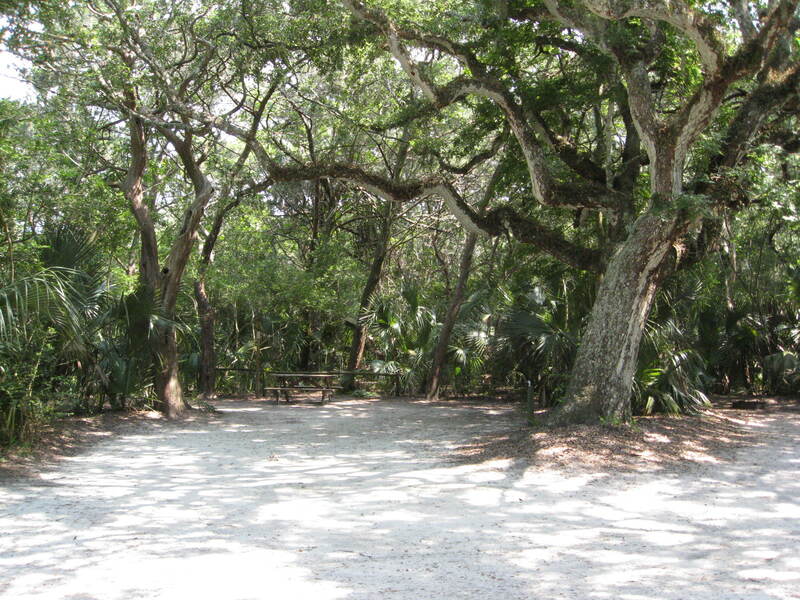 The campsites are truly reminiscent of old Florida. The breeze off the ocean has created some of the most picturesque, gracefully bent Cedar trees I have ever seen, to shade you from the Florida sun. It Features 139 Sites with electric and water hookups for both RVs and tents. The park offers all amenities including a communal dump station, hot water showers and laundry facilities and free Wi-Fi hotspot. The campground is pet friendly for well-behaved pets. The park itself is open daily from 8 AM until sunset all year round. There is an $8 entrance fee per car. The park allows fishing, boating, swimming and fires in designated areas. The Park is home to over 4 miles of beaches to walk, jog or bike. There is a store and a snack shack that sells beach sundries and camping and fishing supplies. You can also rent bicycles, beach chairs and umbrellas. If you’re looking to picnic there are three different picnic areas, some with tables under pavilions with grills and a beautiful private hilltop gazebo with a table and grill. The picnic areas are handicap accessible. The park also has plenty of public restrooms, showers and playground areas. The beaches are absolutely gorgeous! Cars are not allowed to drive on these beaches and you can’t bring your pets either. 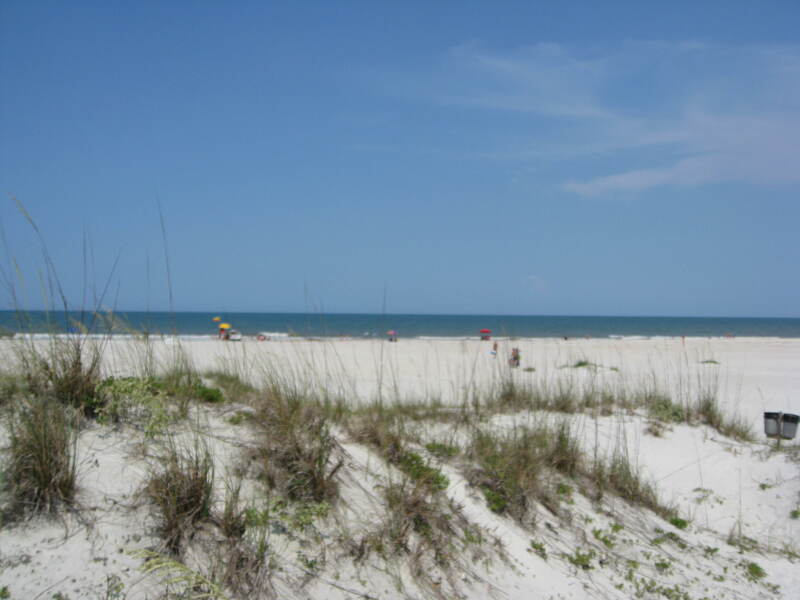 These are some of the most beautiful unspoiled beache you will find with gorgeous sea oats covered sand dunes. There are lifeguards on duty to protect you during the summer months. Here’s a locals’ tip for you …. they always fly a purple flag which means dangerous marine life. This is standard in all state parks to protect them as well as you. Don’t be discouraged by this, you can always ask a lifeguard before you swim if they have seen any dangerous marine life that day. If the tide is out, this is also a great beach to go shelling. 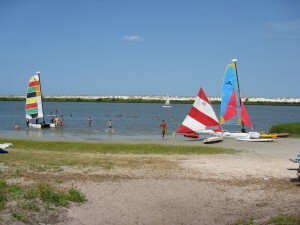 If you love water sports, Anastasia Water Sports is located within the park. ( see my review ) They rent kayaks, canoes, windsurfers, paddleboats, Hobie cat, Sunfish, and stand up paddle boards. It’s best to make a reservation but if you can’t, just stop by, they will do their best to accommodate you. Some rentals are dependent on tides so it’s good to check with them first. 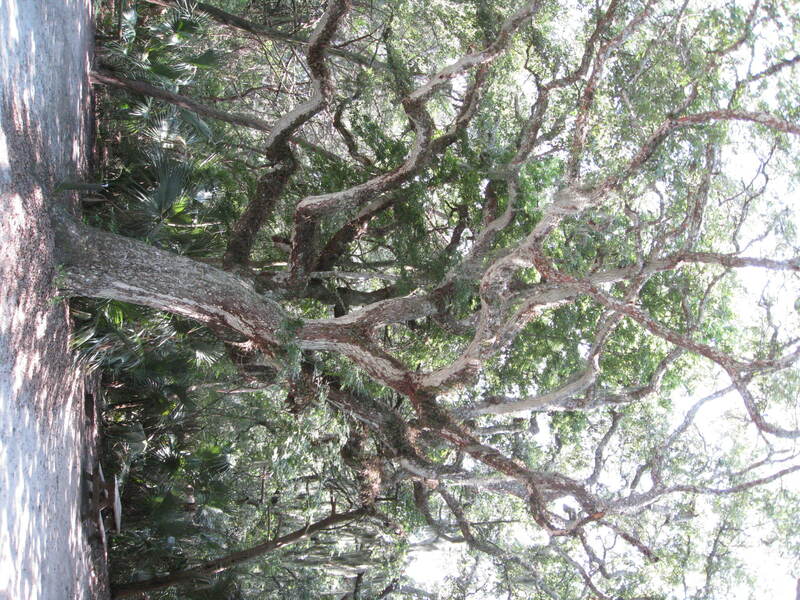 You can walk for miles at Anastasia State Park enjoying the wildlife, ocean views and salt air. It is truly a wonderful way to spend a day.